Depending on how your team works you may use JIRA to track your hours and ensure your team is working the expected amount of hours on tickets and ensuring your estimates are accurate. 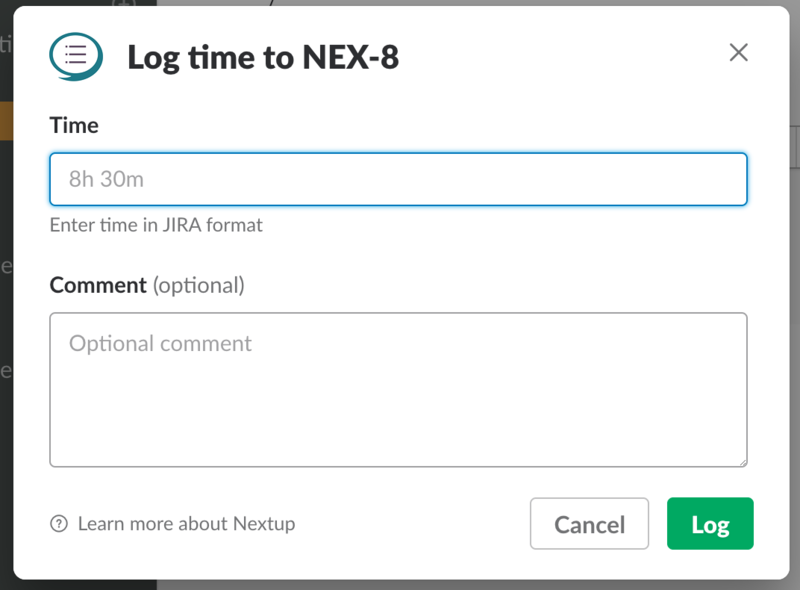 You can add time to ticket in seconds with Nextup JIRA. You have multiple options for logging time to tickets. 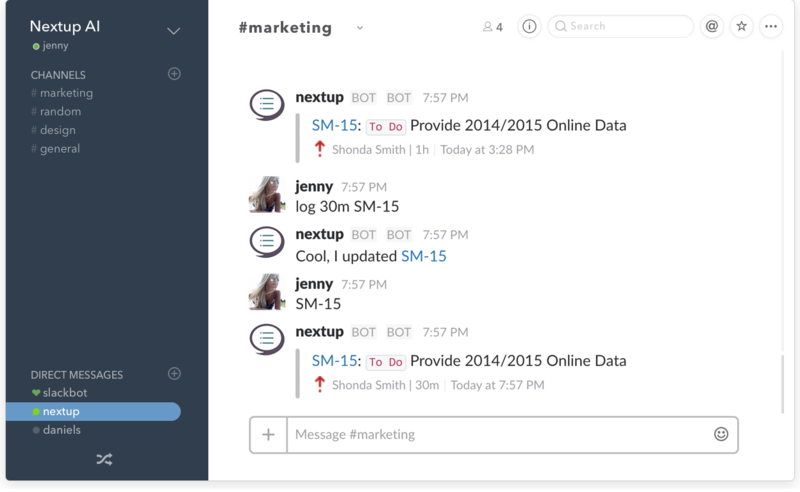 Chat with the bot in a channel or private message. 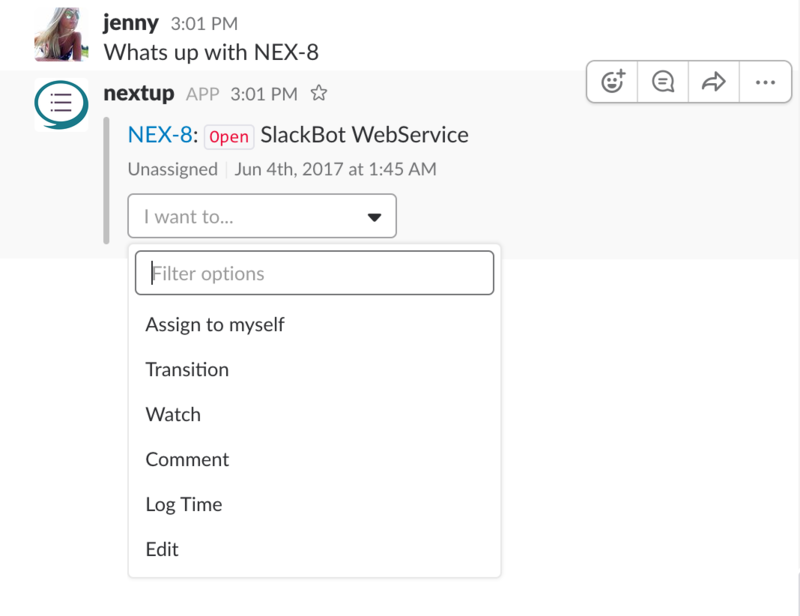 Select Log Time from the options in the dropdown. Enter your time and comment (optional) and then click the Log button or hit enter.